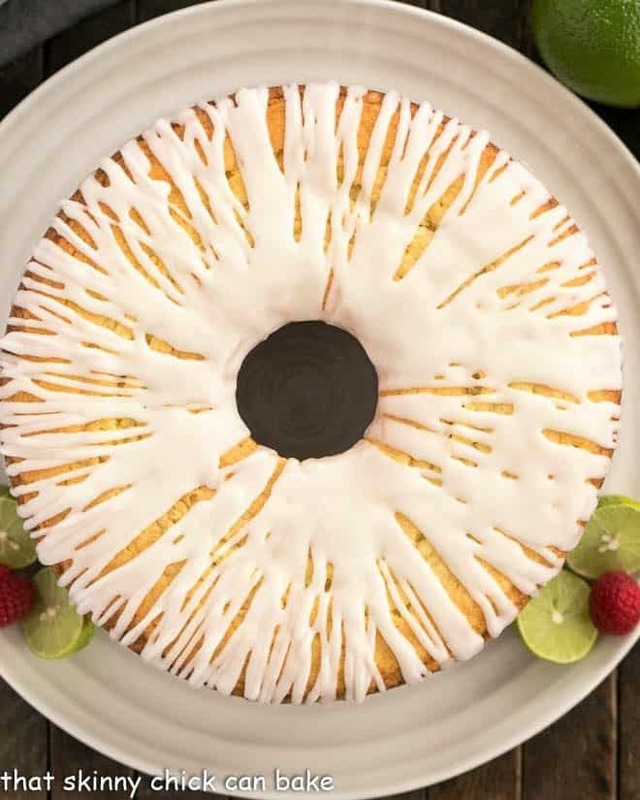 The sweet, tart hit of citrus in this Key Lime Pound Cake makes it a perfect after dinner treat! Dense and delicious, my friends kept slicing off more and more samples while dolling out compliments! Cakes baked in a tube pan or Bundt pan are the perfect way to feed dessert to a crowd. 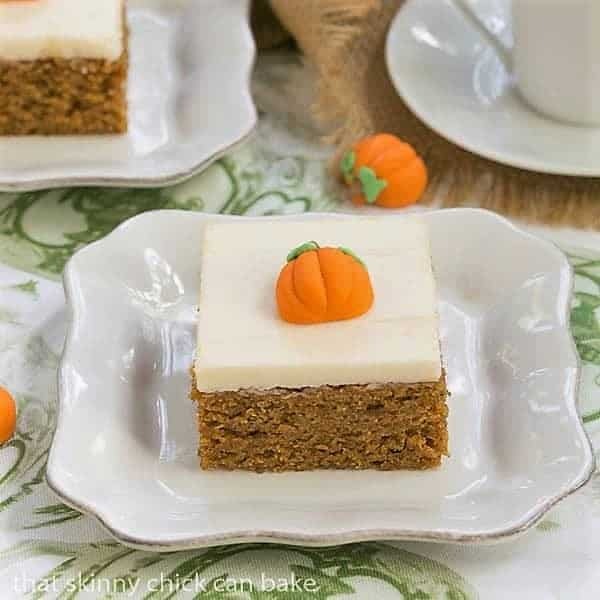 One pan, no layers and a refreshing drizzle of icing make them ideal for both the baker and the taste testers! When St. Patrick’s Day was approaching, I wanted to bake up a green-ish dessert. 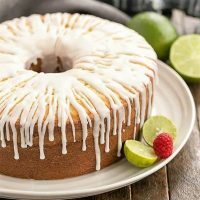 Since I adore Key Lime Pie, the bag of Key limes at the market brought my thoughts to a Key lime dessert, a Key lime pound cake to be precise. With some lime zest in the cake batter, Key lime juice in the batter and icing, this tight crumbed, citrus laden cake was a heavenly, very pale green (if you use your imagination!) dessert. The name itself, Pound Cake, gives the first clue this is no light and airy dessert. 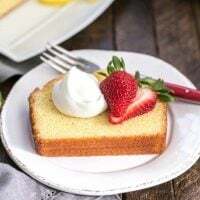 But the name itself goes back to the inception of this dessert, when a pound of butter, a pound of sugar, a pound of eggs and a pound of flour were the main ingredients in a a pound cake. There are numerous variations on this basic formula. For example, in this Key lime pound cake, half the butter was swapped out for shortening, and lime zest and juice was added for flavor. If you want a picture perfect pound cake, you must prep your tube or Bundt cake properly. Grease with shortening, then dust with flour. Tap out any excess flour into the sink or garbage can. Read through the instructions before you start. Make sure you have all the ingredients on hand and get out the butter and eggs to allow them to come to room temperature. Use a stand mixer, if you have one, to beat the butter (and shortening in this recipe) until creamy. Be patient. 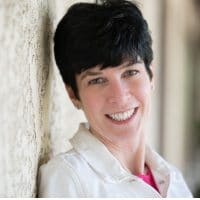 Use brand name ingredients for the best results. Off-brand butters, for example, often have more water than name brands. And measure accurately. Add eggs one at a time, waiting until each egg is mixed in before adding the next. But be careful not to over beat. Once the last egg is incorporated, move onto the next step. Bake in the middle of the oven. Check to see if the cake is done by inserting a toothpick into the middle of the cake. If it comes out clean, your cake is done. Let the cake cool for 15 minutes on a rack, then carefully invert and remove from the baking pan. Allow to cool to room temperature on the rack before serving. What is the Difference Between Standard Persian Limes and Key Limes? The first difference is obvious, as Persian limes are much larger than Key limes. That’s why this recipe doesn’t call for the zest of Key limes, just the juice. Those suckers would be hard to zest! Persian limes are tarter due to a higher acidity, though they have less seeds. PRO-Tip: In a pinch you could substitute Persian lime juice for Key lime juice, but avoid the bottled lime juices. They cannot replace the taste of freshly squeezed lime juice. This Sour Cream Pound Cake and my Best Pound Cake are two fabulous vanilla pound cakes worth making. 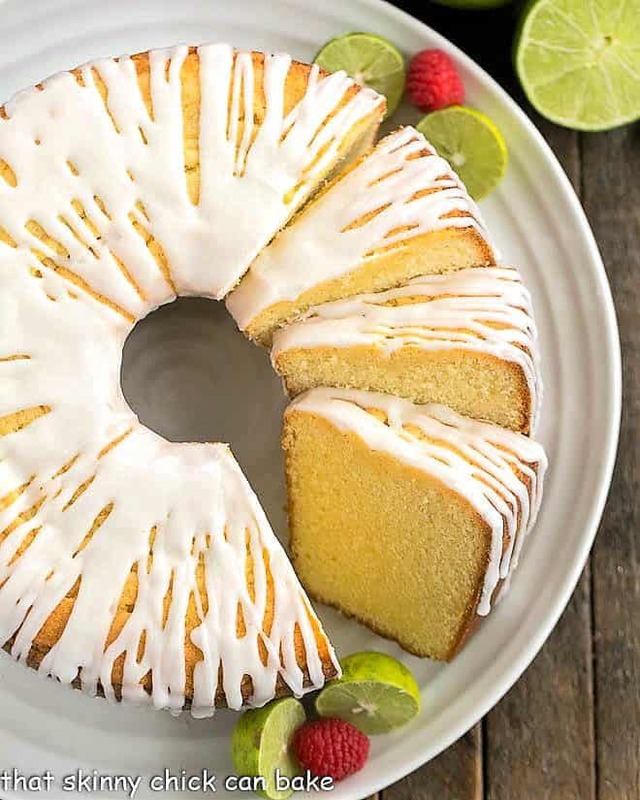 For a smaller version, try this wonderful, citrusy Glazed Lemon Pound Cake made in a loaf pan. From my blogger friends, I’ve been eyeing this Million Dollar Pound Cake and this Apple Pecan Pound Cake. Plus this Cranberry Orange Pound Cake looks like a divine dessert for the holidays! Whisk together flour, baking powder, and salt. Add to butter mixture alternately with milk, beginning and ending with flour mixture. Beat at low speed just until blended after each addition. Stir in vanilla, lime zest, and lime juice. Pour batter into a greased and floured 10-inch solid tube pan. Bake at 325° for 1 hour and 15 minutes to 1 hour and 20 minutes or until a toothpick inserted in center comes out clean. Cool in pan on a wire rack 15 minutes, then invert onto a wire rack. 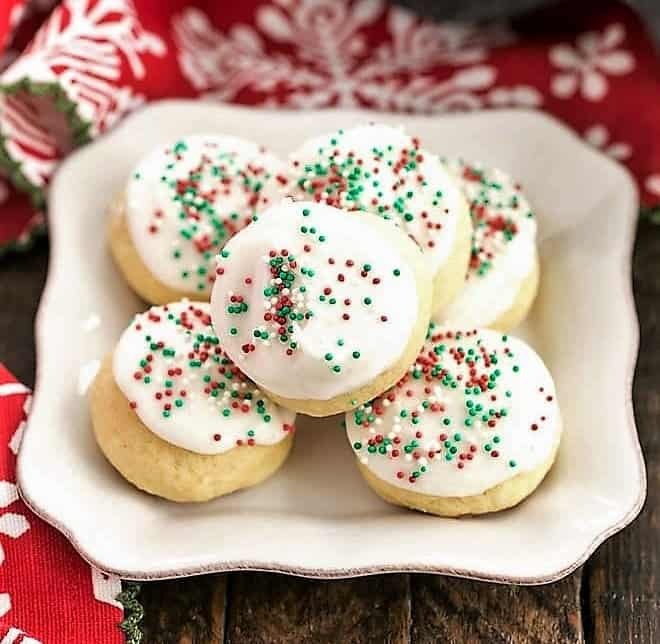 Whisk together powdered sugar, Key lime juice, water, melted butter and vanilla until smooth. Scrape the frosting into a quart Ziploc bag, seal, and snip the tip off one corner. Drizzle back and forth over the top of the cake. 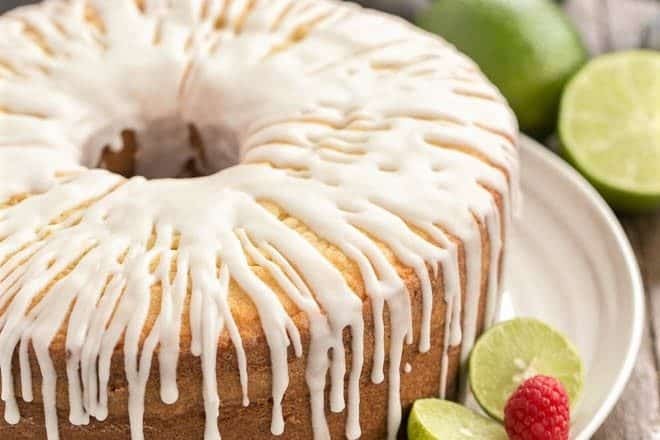 The pound cake looks phenomenal with that perfectly tender and smooth crumb and lime icing. Love bundt cakes for anytime! (They do feed a crowd well.) Lovely recipe, Liz! Absolutely scrumptious cake. Key limes are so amazingly delicious in dessert. Send all the key lime pie recipes my way! I saw this on IG yesterday and had to look at the recipe. YUM! I’ll be trying this one for sure! Pound Cake is always a huge hit. 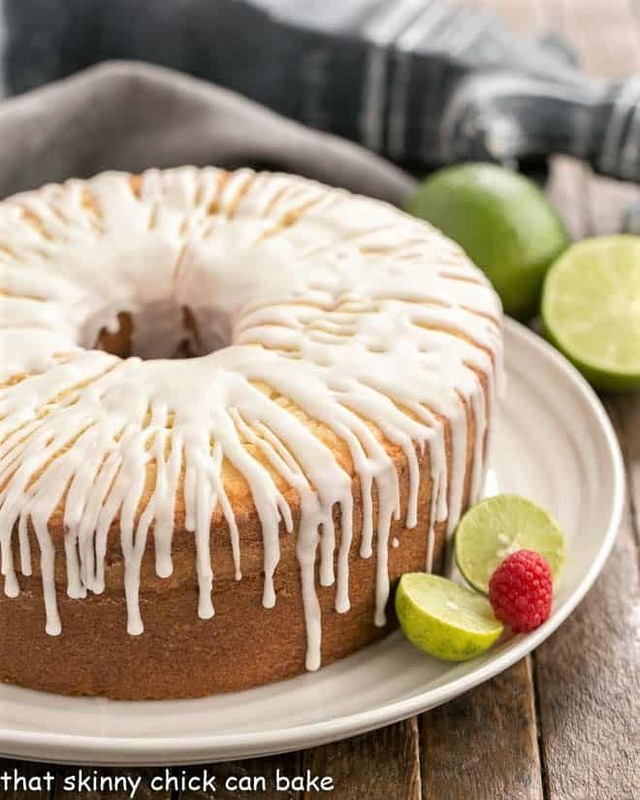 Key Lime Pound Cake sounds so amazing! This is such a gorgeous pound cake Liz! 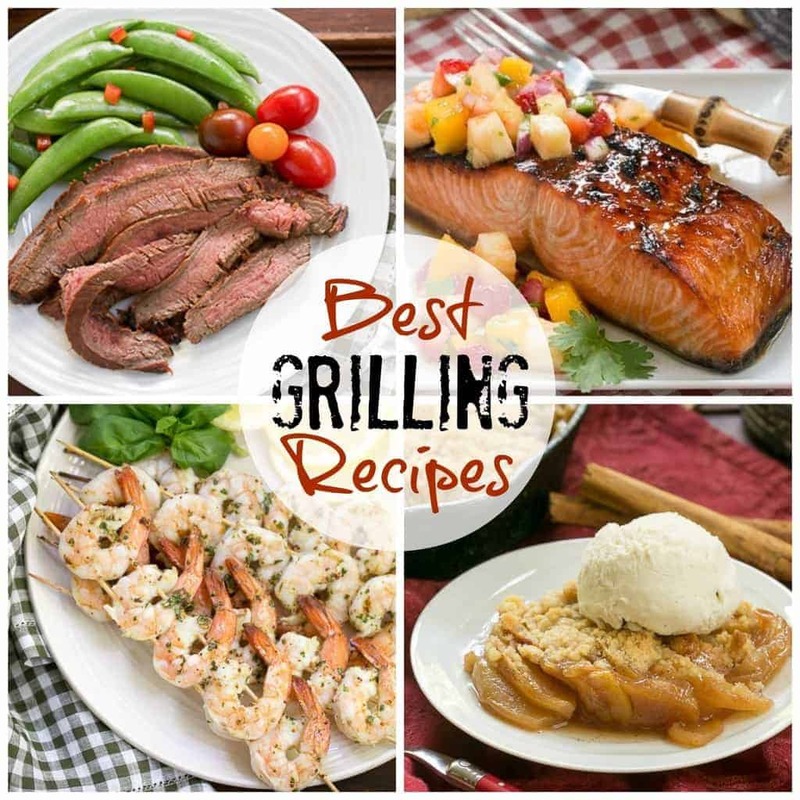 It’s sure to be a hit at spring and summer gatherings! I have a key lime lover in my life and he loved this cake! 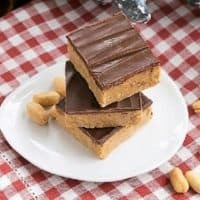 Such a fantastic cake recipe. Disappeared in minutes. Thanks for sharing. Liz, this cake looks fabulous…I absolutely love everything lemon…and I love how you decorated it with the frosting…gorgeous. I would love a slice of this cake…Have a great week ahead! I love to pair with this some fresh strawberries! I loved it! 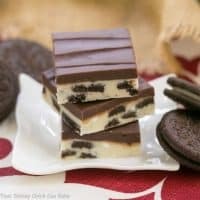 So easy and taste really good! What a great pound cake Liz. 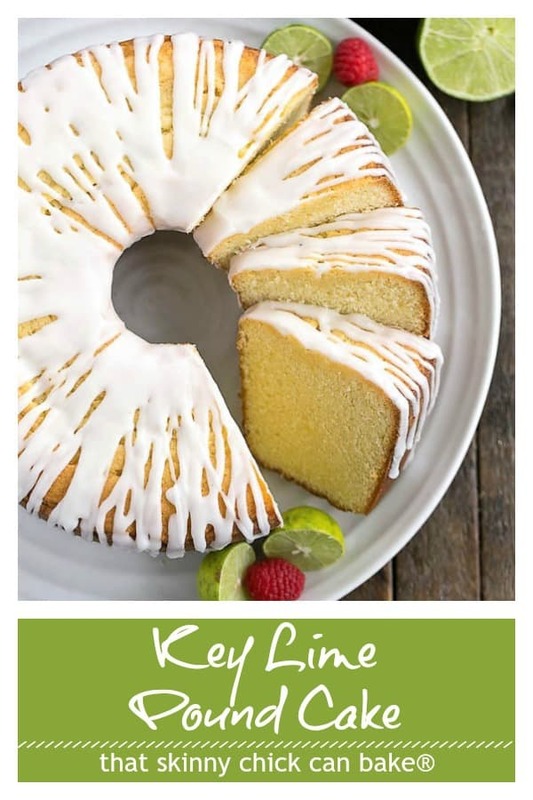 Zoe is a huge fan of key lime so you can bet this will be on the menu the next time she comes home! It was a huge hit at my house! My husband isn’t much of a dessert eater but one that he does enjoy is pound cake. I know he would really enjoy your version…it sounds great. While I am positive this is a delicious pound cake, it’s the frosting (using a bag) that really shows it off. I hadn’t used piping bags for a long time and had to do it during my macaron class recently. To say I need to work on my technique is putting it mildly. I’m using a regular lime for the zest and key limes for the juice in this recipe. That is exactly what I did, too, Jackie! 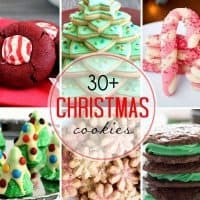 Hope you enjoy!!! I was wondering if it was too early to break out the key lime recipes. Happy to see that it’s not.